“As a kid I was a pixador, but I did not become famous, I prioritized other stuff. Being famous in the world of pixação requires dedication. In 1980 when the pixação appeared I lived in Vila Isabel in Rio de Janeiro. Vila Isabel is one of the neighborhoods where pixação was created. I was six years old and was becoming literate. It was in the early days and the pixação at that time were fully legible. I kind of learned to read by seeing this graffiti. I had a neighbor, the older brother of a friend of mine, who was already a famous pixador at that time which made me pay attention to all this from an early age. In 1982, at the age of eight, I moved to the neighbouring area of Tijuca. Tijuca is another one of the places where pixação was developed in Rio and where, at that time, was the main meeting place of the city’s pixadores in the Saens Peña Square. Since then I have always closely observed the pixo movement in Rio de Janeiro. The street-art as it was appearing in Brazil I also followed. 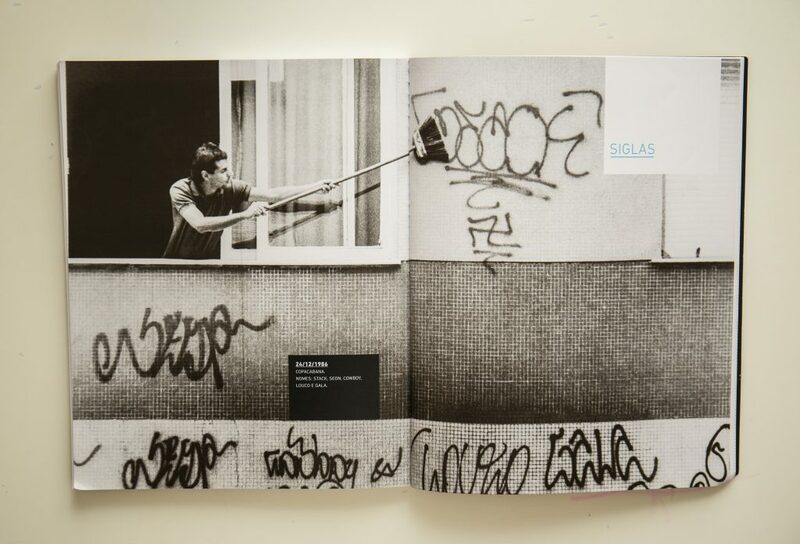 There was very little printed material produced at the time but I always found a way to get magazines of the early graffiti scene from São Paulo which was more active. I also sought out imported graffiti magazines from the US and Europe. 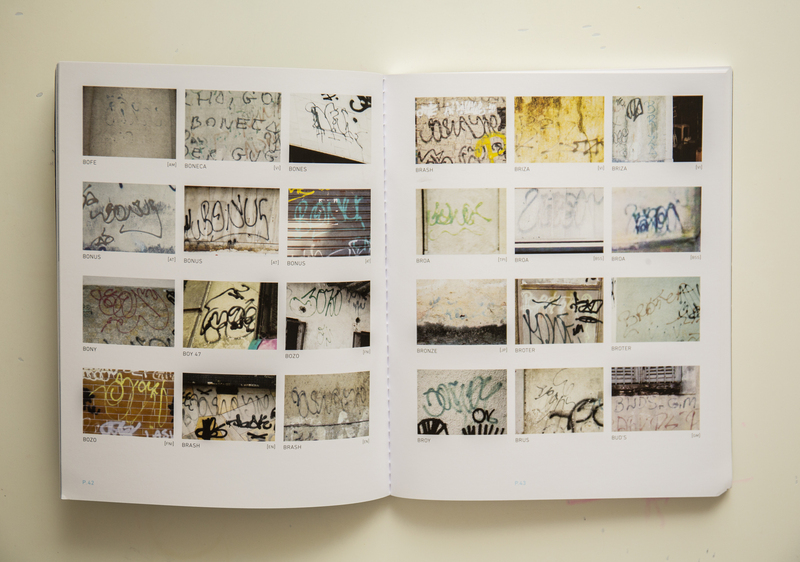 Some time later, when I was in college, I started my collection of imported books on graffiti and street aesthetics. I have always paid §attention to the aesthetics of the streets in my city. This interest has given me close contact with the ‘street’ universe since a very early age. ‘Xarpi’ is the name that was given to the pixo in Rio de Janeiro. It is an inversion of the word pixar according to the dialect of the pixadores of Rio. Invented by the local pixadores of the neighborhood Catete. The language is known as the ‘Gualin of the TTK’ in which the words are changed and spoken with the syllables in reverse. 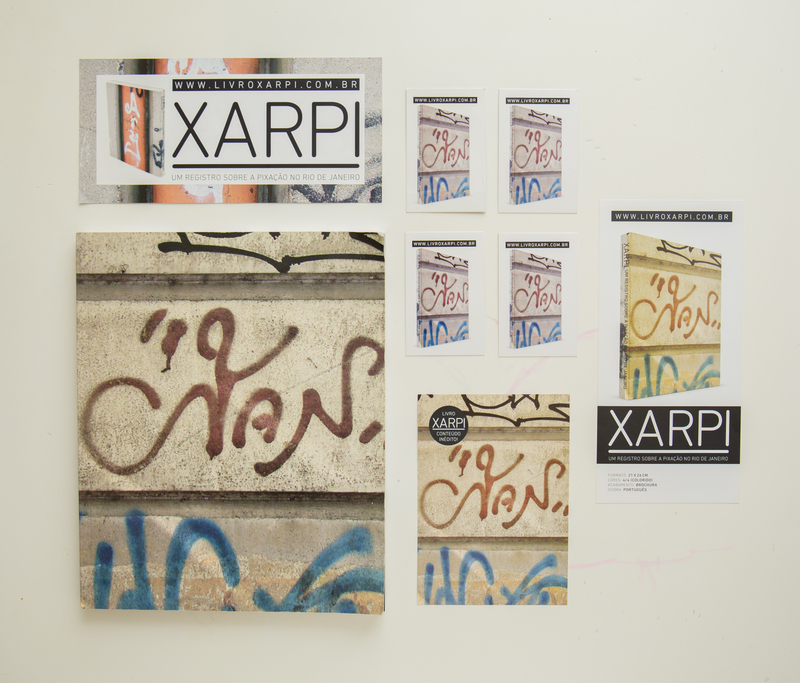 There are numerous particulars of the xarpi movement. Xarpi are tags, pixos, and can include the initials of a crew name. In Rio de Janeiro first is the pursuit of the individuals pixador fame followed by the fame of the Sigla, which is the acronym of the group of pixadores that he signs. Many attribute the pixação of São Paulo to the logos of heavy metal bands and skyscrapers. The pixo of Rio de Janeiro, on the other hand, has a unique calligraphic aesthetic dissimilar to that found in São Paulo. It has sinuous and waving forms most likely influenced by the city’s geography which is interrupted by steep rounded hills. After forty years the xarpi continues today, in times of greater or lesser intensity, ubiquitous in the city. 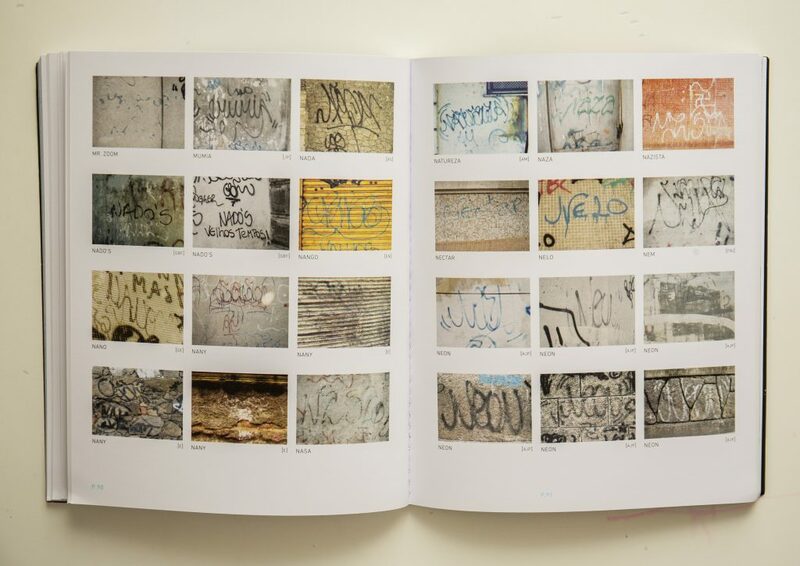 The calligraphes recorded in the XARPI book are of the first generation of pixadores of Rio. This calligraphic style underwent a mutation. 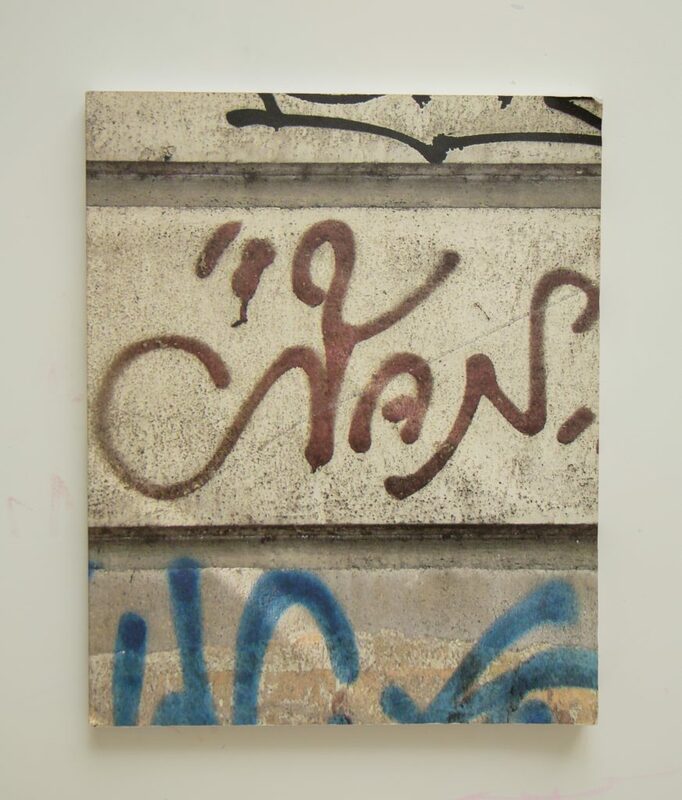 Today the tags (letters, pixos, xarpi) of Rio de Janeiro have a different aesthetic. The xarpi has evolved. One day I was with a friend, Clécio Freitas, at a bar drinking some beers and talking (Clécio is credited in the book for his work in the research of the project). We remembered the pixação that existed in Rio de Janeiro, the milestones of the movement at the time. Clécio was also pixador as a kid and we’d even done pixação together in the past. This friend of mine had there in the bar the idea of a book that evoked these memories. He convinced me that I, as a designer, had enough know-how to go through this process. Clécio also reminded me that these pixações would be erased in a short time (the World Cup and the Olympics were to be based in the city of Rio) and that it would be necessary to document it quickly in some way. And indeed the pixação of that time were erased. The conversation convinced me to do this record. That was a Saturday and on Sunday we were out photographing the pixação all over Rio. We started shooting in 2005. We walked across almost every neighborhood in the city. One of the most curious facts is that when we went to start photographing we imagined there would be about 300 more important pixadores. After a while we found that there were more than 1,200 famous pixos. The people in the streets found it strange to see us taking photos. They imagined that the people who had made those pixos must be the same ones photographing them. People did not like this and reacted negatively and with hostility when they saw us taking pictures. Great care was needed. 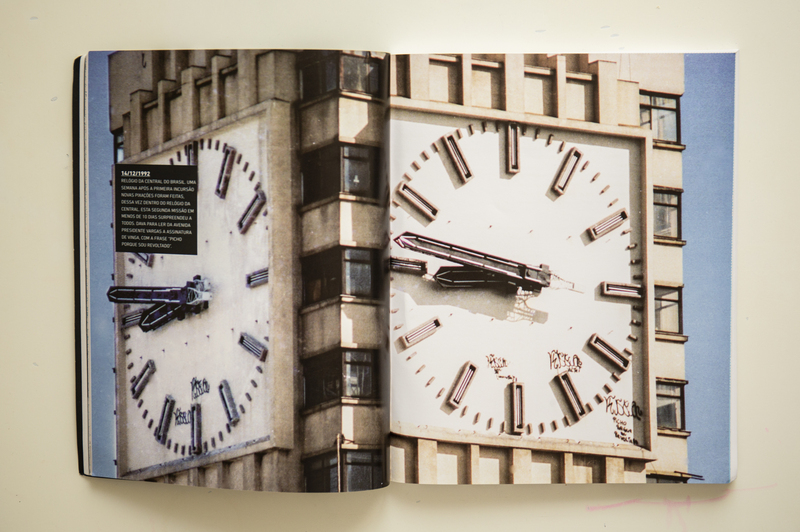 When we had gathered more than 1,400 photos we decided that the time had come to do the final graphic design of the book. I believe in the importance of documenting a phenomenon of genuine aesthetics that has existed for forty years uninterrupted. It is the record of the first generation of pixadores of Rio de Janeiro. I think there has always been an exercise in creativity in the pixação in the raw and wildest degree as it is without previous study. It is a genuine aesthetic created on the street and developed on the street itself. Just the people who are involved in this practice understand this language and there is no agreement of acceptance with society. Our aim is to leave a strong record of the pixação in Rio de Janeiro. It is important that this record of the first generation of pixadores is visually cataloged somewhere in history. We believe that a practice that has mobilized the lives of so many young people deserves some kind of documentation.